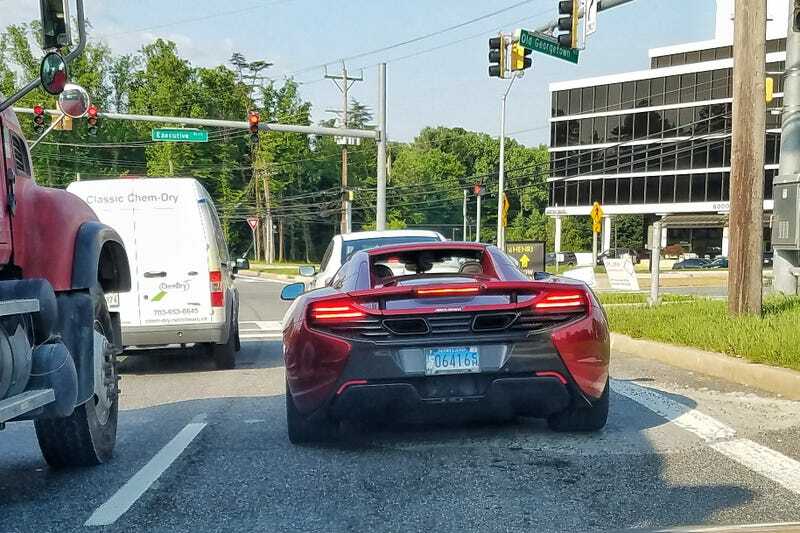 I pulled up behind this 650S (I’m pretty sure that’s what it was) Spyder on my morning commute last week. A couple days earlier I had seen a Ferrari 488 on the same road on my evening commute. Supercars aren’t super common around the DC area relative to the amount of wealth there is here, as many of the rich people sorta kinda try to be low-key about their outward displays of wealth. But really all that means is you see a lot of higher end Mercedeses, BMWs, Audis, Lexuses, Porsches, Maseratis and Range Rovers. Stuff that starts in the $200k bracket on up is more of an occasional spotting.